Capital City: Djibouti City is the capital and largest city of Djibouti, which is named after it. It is located in the coastal Djibouti Region on the Gulf of Tadjoura. 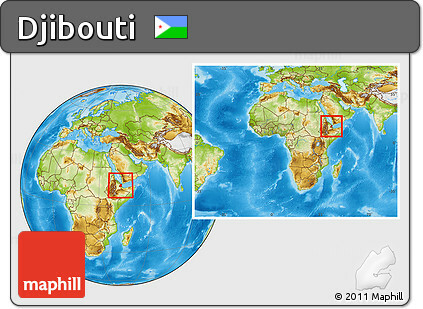 Djibouti City has a population of around 529,000 inhabitants. Religion: Religion. More than nine-tenths of the population is Muslim; nearly all adhere to the Sunni branch of Islam. Some Christian religions are represented in Djibouti, including Eastern Orthodoxy and Roman Catholicism.